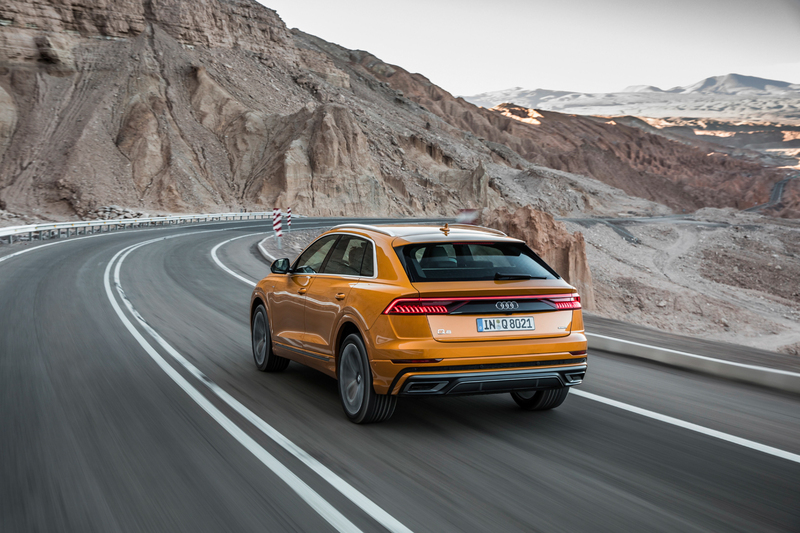 As the brand’s flagship, the new Audi Q8 is the brand’s most high-tech and luxurious SUV. Despite it being a bit smaller and sportier than the Q7, the newer Q8 packs more technology, features and luxury than its older, larger sibling. In this new review from CNET’s Roadshow, we get to take a look at that tech and luxury in stark contrast to the baron landscape of Chile’s Atacama Desert. Some of that tech is in the cabin and some of it is under the hood. An example of the latter is the 48-volt Mild Hybrid tech that helps power the Audi Q8. Connected to that engine is what’s called a BAS (Belt Alternator Starter), which is essentially an electric motor that can power the crankshaft and other ancillary belt-driven components, allowing the engine to shut down at highway cruising speeds. It can also start the engine while warm. That BAS plus its single turbocharger allows the Audi Q8’s 3.0 liter V6 to feel powerful and punchy, even at 15,000 feet elevation. Inside, the Q8’s tech is just as impressive but in a different way. 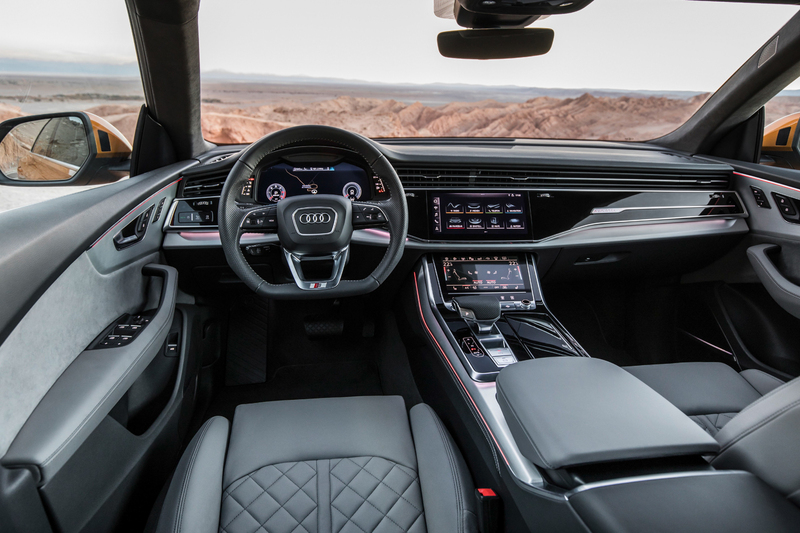 Replacing the old MMI system and its swivel wheel controller, the Audi Q8 uses the latest Touch Response MMI system, which features two large, configurable touchscreens. While touchscreens can be difficult to use in cars, and this new system still isn’t perfect while on the move, the new MMI is possibly the best touch-based system on the market. Plus, it’s highly configurable, so you can make easy shortcuts for menus you commonly use, and it also has accurate handwriting capabilities for the bottom screen.